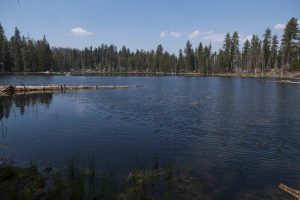 This hike to the quaint Harden Lake is a forested walk spending much of its time on an old road alongside the humble Middle Tuolumne River. 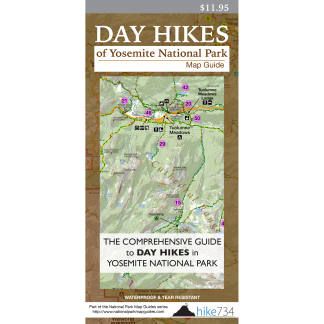 The hike follows the road north, gradually descending through the forest along the river. Stay straight on the road past multiple turnoffs until you reach an obvious, unsigned trail. Take that trail and follow it to Harden Lake, a small, quiet lake surrounded by boulders and trees, before turning around. Alternatively, continue past the lake to begin dropping into the canyon for an 8.3mi/13.3km loop (see Grand Canyon of the Tuolumne River). Trailhead: Turn off the Tioga Road to White Wolf. Follow the road to the parking at the lodge. The trail begins by following the gravel road past the campground.